Why ‘The Race for the Café’? | theraceforthecafe.com . Why ‘The Race for the Café’? 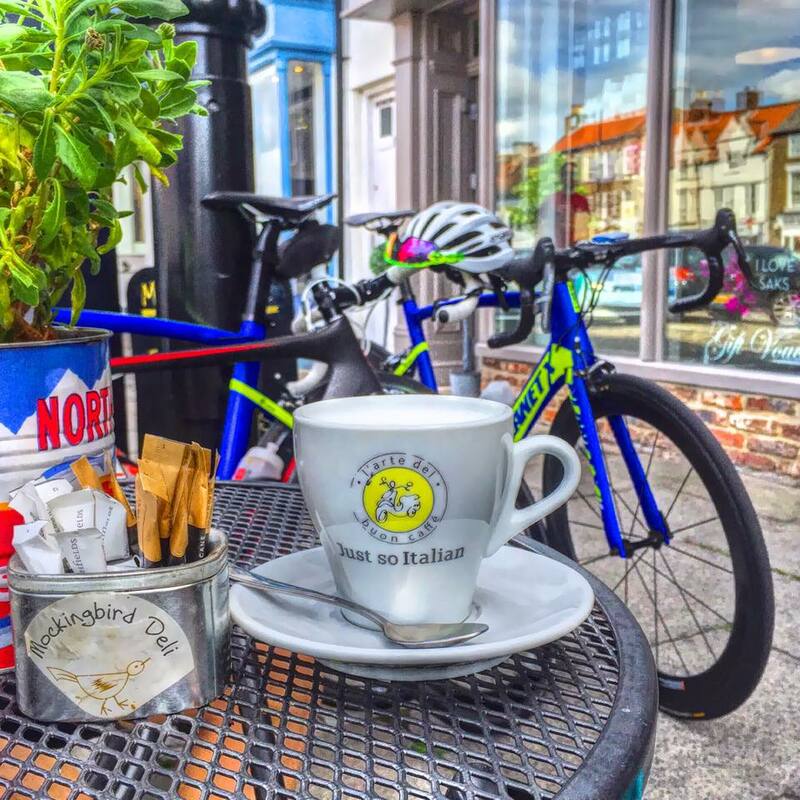 A blog about cycling, sociology and social media but you might be wondering why it is called ‘The Race for the Café’? I will explain shortly, but first a very brief introduction and some background. I am a former triathlete who switched to bike racing after an accident ended my triathlon career. I am still a competitive racing cyclist, but inevitably and reluctantly at the age of sixty-one I am rapidly approaching the end of my racing career I probably have one more season, I may even blog about how the season goes, I could call it ‘The View from the Back of the Bunch’. I have been researching racing cyclists in the north east of England and I recently finished writing my PhD thesis which ended up a fairly substantial 320 pages (approximately the thickness of a telephone book for those who can remember them). My thesis is a study of racing cyclists in the training setting – their everyday lives. Above: The Mocking Bird Deli, Yarm - the cafe we regularly race to! I am a sports sociologist and an ethnographer and the form of research I do is based on participant observation. This method involves observing and participating in the everyday lives of the people you are trying to understand, often over a long period of time, in my case over four years, with the aim of representing their particular everyday social reality as it is lived. The size of my thesis is one of the main reasons for this blog, a lot of people who have helped me with my research have said that they are looking forward to reading it and I am very keen to share my work outside the restrictions of the academic world. BUT @ 97,000 words and full of social theory and what some people might regard as academic ‘waffle’ it is definitely not what you could call an ‘easy read’. Hence this blog, I want to share my research with my study participants and the wider cycling world but in a more relaxed style and format than a doctoral thesis allows. This place has the most perfect environment, great food, tasty wings, lots of good beer, but best of all - probably the best wait staff in all of country. Visited the LA venues last month again, had another great time.